Everyone knows the expression “when it rains, it pours”, but is that really true when it comes to the weather? In reality, rain can come in all forms - from a light drizzle to steady and persistent drops, to a heavy downpour. Whether you’re an outdoor extremist or a city slicker, we all need protection from the rain. That’s why we’ve sorted through the best rain jackets to help you choose one that fits your style, budget, needs, and of course – the ever-changing weather. 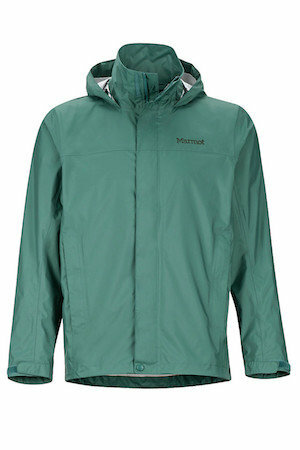 The Marmot PreCip is a great choice of a decent quality rain jacket that’s not super heavy-duty, but still keeps you protected in a rainstorm. 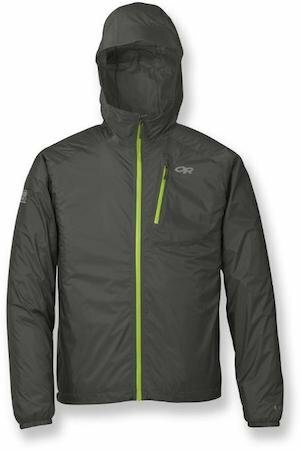 Made from the newly designed NanoPro fabric, this jacket is 43% more breathable than its previous PreCip predecessor. Hikers, bikers, runners, and backpackers especially love this model. The innovative Dry Touch lining prevents that clammy-damp feeling that typically comes from wearing a rain jacket. The “pit zips” are another aspect that’s great for outdoorsy folks. These underarm zips are be opened to circulate air and release heat while you’re working up a sweat! The Marmot PreCip packs up into its own pocket, keeping it compact and ideal for moving, using, and traveling with. Even if it’s not raining, you’ll totally want to sport this jacket anyway! The chic, lightweight, and versatile trench coat from Toad & Co. will have you feeling stylish and oh-so-pulled-together while still keeping you completely dry. The two-way front zipper, slanted front pockets, and quality tailoring ensure that this jacket flatters most figures. There’s also a drawstring cord at the waist that lets you decide the tightness or looseness of the fit. 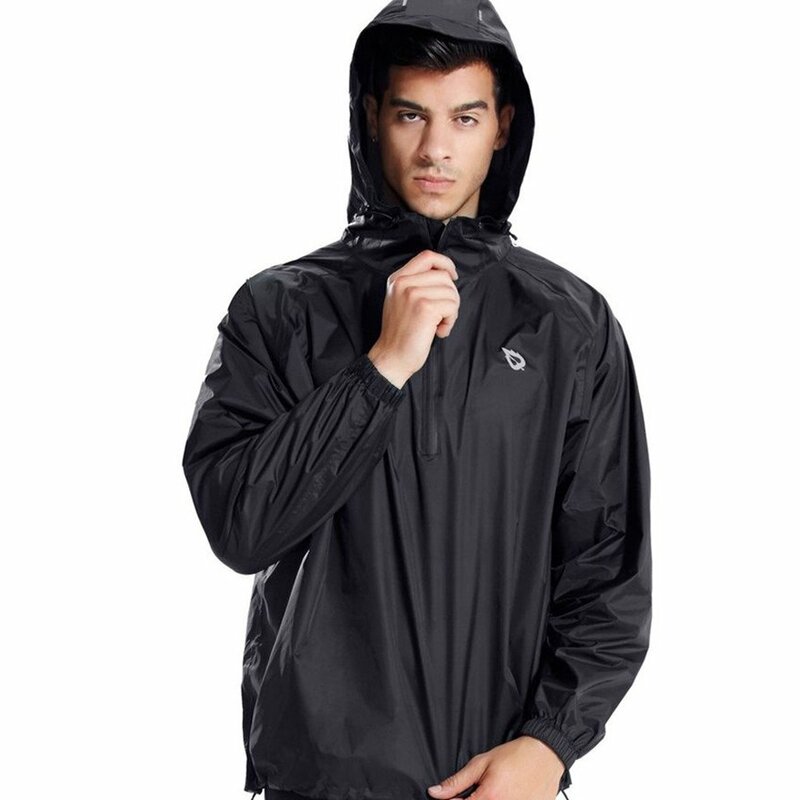 The breathable laminate has a Durable Water Repellant finish and the storable hood and high neck keep you protected. With style and quality like this, the Overshadow Trench can easily take you from the streets of Manhattan to the hill trails in South America. 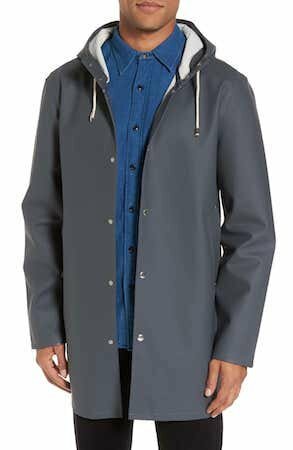 Guys who want to make a fashion statement regardless of the weather will definitely gravitate towards this sleek looking waterproof trench. Men working in the professional world will feel comfortable wearing this warm, waterproof coat around town without worrying about looking like they’re about to embark on a 2-week camping trip. Modeled after Scandinavian fishermen, this jacket was designed with a more sophisticated aesthetic. Plus, it's lightweight and packable, making it convenient for travel. Fashion Police approved. 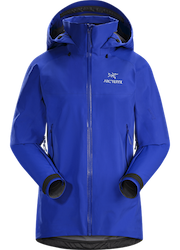 This prestigious outdoor brand makes a similar GOR-TEX jacket for both men and women that’s built to brave any rainstorm. 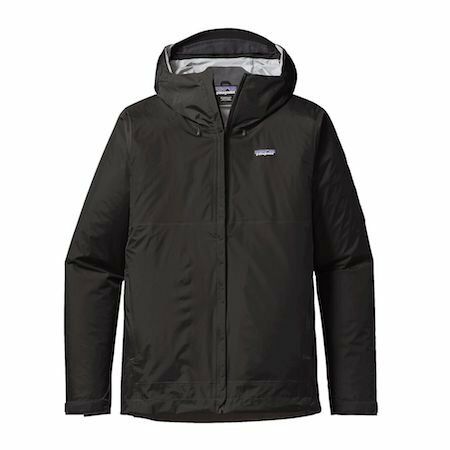 This is the type of jacket that’s ideal for mountaineers, backcountry skiers, climbers, and hard-core hikers. The durable windproof and waterproof GOR-TEX material means nothing is penetrating that jacket – even the most intense downpours. This jacket will even protect you in a snowstorm! The fully taped seams, sealed zippers, and easily adjustable StormHood are all designed to keep you warm, dry, and comfortable in the midst of any adventure. Pit zips keep water out while releasing body heat if needed and the internal and external pockets make sure your important items stay dry. If you’re looking for something basic, cheap, and versatile, this hooded poncho rain jacket from Baleaf is a good bet. Made from 100% high-quality nylon, this poncho is a 100% waterproof. Super lightweight and super budget friendly (just $23.99! ), this poncho can be used for protection against rain as well as for daily use or sports. The poncho has a pull-over design with a half-way front zip and hood with a small brim. There are also several reflectors on the front, back, and hood to maintain your safety at night. 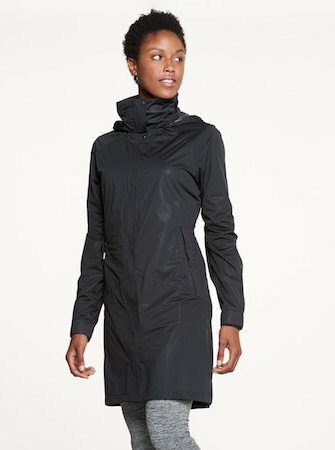 The uber-lightweight design makes this the perfect rain jacket for cramming into your backpack or suitcase. The Helium II weighs a mere 5.5 ounces and compresses down to the size of a granola bar into its own pocket! Despite these impressive specs, this jacket is still completely waterproof boasting 2.5 layers of high-quality breathable laminate. The adjustable hood, elastic cuffs, and drawcord hem make sure you stay fully protected. It also dries super quickly, which means you won’t have to pack a sopping-wet jacket. Outdoor Research makes this style jacket for both men and women. Completely waterproof and highly breathable, the Torrentshell will meet and exceed your rain jacket expectations. The stiff-brimmed hood is perfect for keeping the head and face protected and can be rolled back and stored neatly with its cord-and-hook design. The chin guard and soft, microfleece lining around the neck prevents that uncomfortable rain coast rub against those sensitive areas. The zips are lined and protected with storm flaps to make sure not even a drop of water penetrates the jacket. Taking this even further are the Velcro cuffs and drawstring hem, all of which work together to keep you dry. If you get cold, just stick your hands in the “hand-warmer” pockets. Too hot? Unzip the pit zips and cool down. When the sun finally comes out, this jacket self-packs into one of its own pockets. Environmental bonus: The nylon fabric is 100% recycled.